This trendy Star Wars Finn Distressed Brown Jacket is now on sale in new color and style. Actor John Boyega played the character of Finn in Star Wars: The Force Awakens and wore this outerwear. For all the die-hard fans of Star Wars here is the complete costume guide to become your favorite character. Use this step by step easy to follow guide to dress up like one of the Star Wars characters for the next comic-con event. Keep it! It suits you! Amazing leather jacket! I bought it for my husband which is a huge fan of the Star Wars saga. I am too, but Rey doesn't wear leather clothes so that's my luck. After doing some measuring I bought an XS size, which fitted him like a glove. He usually wears S or even M sizes, so be advised that the sizes are a bit overestimated. The sleeves are a little bit tight, but not uncomfortable, and this helps the overall appeal of the jacket because it looks fit instead of baggy or loose. About the design, the details are fantastic! It is really amazing how much they could put in without compromising the feel and comfort a leather jacket should provide. And I think here is the key to success about this jacket because make no mistake, it is a leather jacket and not a costume. The leather is really good quality, and the tailoring is exquisite. It arrived on time and perfectly packaged in a portable protective bag, so another point in its favor. Since my husband is a true fan of Star Wars he definitely liked the new movies and fell in love with Poe/Finn's leather jacket. In summary, if you're looking for an authentic leather jacket that looks as similar as possible to Poe or Finn's, do not hesitate! Originally ordered the lighter Finn jacket for my partner for his birthday, he loved it but we decided to return it due to the lack of a zip or buttons. Return and exchange process was easy and the new one arrived in no time, he even prefers the darker colour. Sizes run big, but it's great quality. My wife ordered this jacket for me on birthday, but it was way too big despite us following sizing charts. A USA Medium is like an XL in our country. We started the returns process to get a smaller size, and the team at Fjackets were superb. 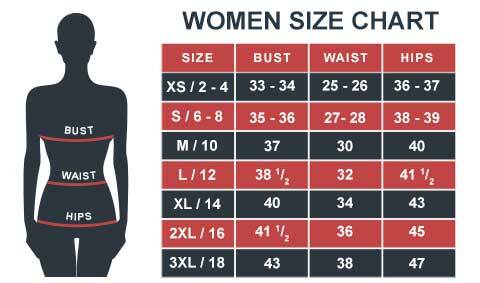 We were given a more detailed sizing chart, and I had my better fitting replacement within a week. Super easy and really friendly service. The jackets itself is fantastic. The leather is really soft, and the attention to detail is spot on. I love it. After I had some difficulties with the ordering of the jacket I experienced an excellent customer service with quick response. Thanks for that! Now that I received my jacket I am very happy with the fit and the quality. I already received a lot of positive response from my friends, and I really like the look of it. Just got my jacket today via DHL - had it within days of receiving a notification of shipment - a definite surprise. Ordered an XL - The fit is pretty good and they have updated and improved the design since they took the pictures above. They have added the three pocket loops using the same leather the jacket is made of. I was planning on adding webbing loops there, but I'll skip that now that they've addressed it. The leather itself is the type you would encounter with a medium-weight jacket. It is soft and the jacket lining is pretty nice.